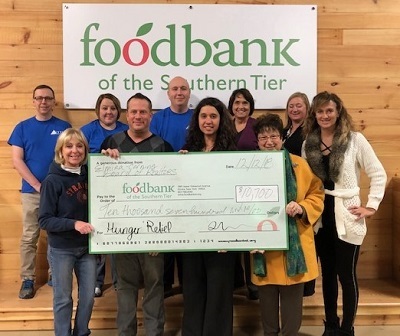 The Food Bank of the Southern Tier at its 2018 Holiday Auction. to the Food Bank through this event. 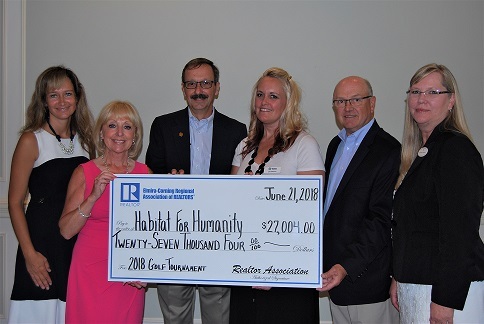 at its recent Habitat "Fore" Humanity Golf Tournament. Chemung Co, S.E. Steuben Co. and Schuyler Co. Habitat Chapters! The Mission of the Elmira-Corning Regional Association of REALTORS® is to strengthen and promote the professional image of its members through education, services and adherence to the REALTOR® Code of Ethics. 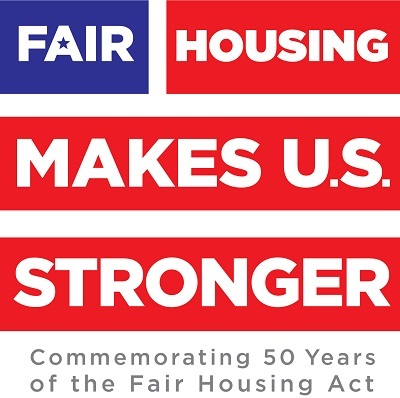 As REALTORS®, we advocate for housing opportunity and private property rights, provide community service and maintain a proactive relationship with local, state and national leaders. The Elmira-Corning Association of REALTORS® is the source for real estate information in the central southern tier of New York State. We provide benefits to our membership including education, resources, and support services to enhance their professional development. Our membership consists of 400+/- licensed real estate agents and appraisers who are known as REALTORS®. REALTOR® is a registered trademark that identifies a real estate professional who is a member of the National Association of REALTORS® (NAR) and subscribes to its strict Code of Ethics and Standards of Practice. Our REALTOR® members also belong to the New York State Association of REALTORS® (NYSAR). The Association also has Affiliate Members, who are not engaged in the real estate profession as licensees, but provide valuable services that relate to the real estate industry. They include lenders, home inspectors, builders, property management companies, home services, insurance companies, law offices, publishing companies and many other home service providers. In partnership with our REALTOR® members and business Affiliates, we add value to the community by advocating for private property rights, providing community service, and adhering to the highest standard of ethics and professionalism. Whether you are an area native searching for the perfect home or are contemplating a move to our area, the Elmira-Corning Regional Association of REALTORS® and MLS members are here to help. Please search our site for available properties and contact one of our REALTOR® professionals to assist you.